First, the good news: Alice realized she made a mistake. 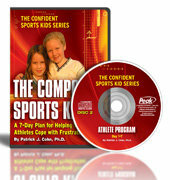 The bad news: Her young athlete has experienced a drop in confidence and is not enjoying sports. When parents and coaches pressure their young athletes, this is exactly what happens. Kids lose confidence. They sometimes drop out of sports altogether. Alice, who has two basketball players, says that she’s been exerting pressure on her youngest daughter because Alice doesn’t want her daughter to quit basketball, like her older sister did. To sum it up, the older daughter had a bad experience with a coach who seemed to favor his own daughters. The older daughter quit the team. Now the younger daughter has the same coach, and she’s sitting on the bench. “So to compensate, I pressured her to work harder, thinking that would help, but it’s only made things worse. She’s lost her confidence and is now believing the coach when he says she doesn’t have what it takes.” Alice’s daughter, who won awards in basketball last year, has said she wants to quit basketball altogether—unless her mother attends all the practices, which ensures the coach will behave a little better. This is clearly a difficult situation. However, as the mother now realizes, pressuring her daughter to perform was not the answer. It’s critical for parents and coaches to understand the difference between helping kids achieve their goals and pressuring them to perform. When parents and coaches help kids aim for their goals, they help them identify their long-term goals. They then help kids set mini-goals for achieving the longer-term goals: where they should practice, for how long, and under what circumstances. It’s important that these goals reflect the young athletes’ desires—not the parents’. Parents and coaches should ask their young athletes what level of play they prefer (recreational vs. competitive, for example) and how much training they’re willing to do. Some kids love to practice, while some don’t. Both the long-term and short-term goals should be established with the understanding that the child can change them. Setting goals in this fashion is very different from pressuring kids. When parents pressure sports kids, they often establish high expectations for them, and communicate these expectations. The young athletes often take on these expectations as their own. In this case, this well-meaning mother’s expectation that her youngest daughter excel in the face of huge challenges—a difficult coach who favored his own kids–certainly was a lot of pressure. It probably felt to the daughter like she was expected to achieve the impossible. When young athletes experience these kinds of expectations, they get frustrated and lose confidence when they don’t meet the expectations. And losing confidence never improves a young athlete’s performance. A parent’s or coaches’ expectations can be very different from their athletes’ expectations for themselves. Parents and coaches need to remember that even at the high school level, many young athletes participate in sports to be with friends and to have fun. 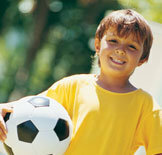 Before you decide how and where your kids should play sports, be sure to check in with them first. Don’t make any assumptions. One coach in Portland, Ore. asks his new players and parents to separately complete a survey that inquires what the athletes and parents expect the young athlete to get out of sports. This is a good idea. It gives the coach some perspective about expectations and potential conflicts between the athlete’s and the parent’s expectations. Not only should parents and coaches keep their expectations in check. It’s important to stress to sports kids the many benefits of taking part in sports. Young athletes learn how to contribute to a team, acquire important social skills, and learn how to focus and overcome adversity, to name just a few of the pluses. When parents and coaches pressure kids to excel, the young athletes may miss out on some of these benefits. Remember, most kids take part in athletics to have fun. Let them do just that, and they’re more likely to feel confident and happy in sports. Learn how to encourage your kids in sports without putting pressure on them with Kids’ Sports Psychology.